Last week I was on my way to visit my aunt and uncle on Staten Island when I stopped dead in my tracks as I got to the top of the escalators in Staten Island Ferry terminal on the Manhattan side. 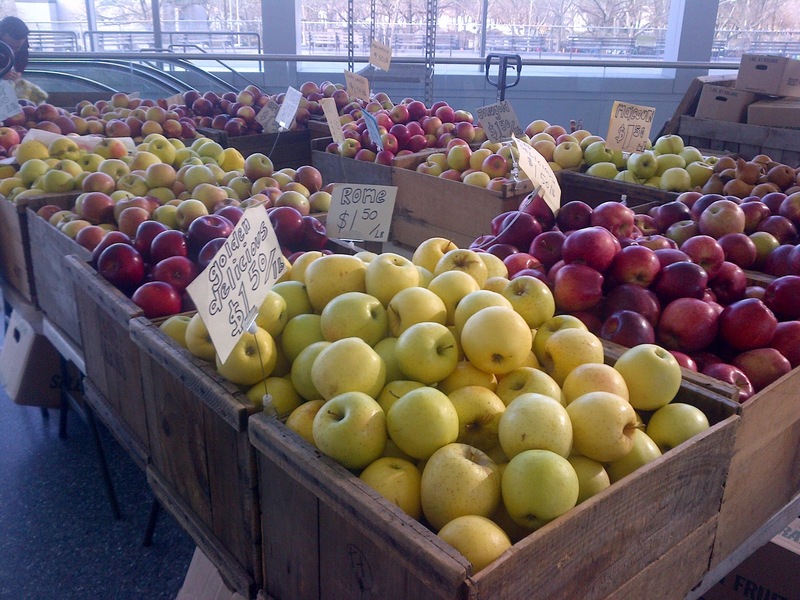 Crates overflowing with apples, homemade breads and jams on display, freshly squeezed apple cider?! In the Staten Island Ferry Terminal? Working at a newspaper on Staten Island for three years, I got pretty well acquainted with the Staten Island Ferry, including at that time, the lack of anything healthy. 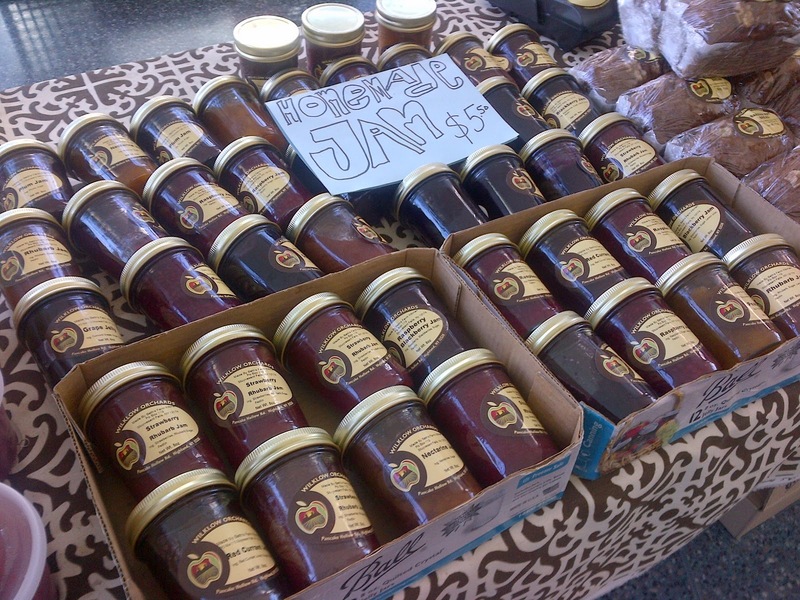 The Greenmarket features Remsburger Maple Farm‘s maple syrup and honey from Dutchess County and Wilklow Orchards‘ small fruits, vegetables, cider, baked goods, jams, beef and pork from Ulster County. A sucker for little markets like these, as well as anything unique and homemade, I did a quick look around and decided to try one of the jams. I scooped up a jar of the strawberry rhubarb and can’t wait to spread it on some gluten-free toast and try it in a new pastry I’m going to try for New Years.